2.9 Miles north of Nederland, CO on CO-72 W. Turn on Co Rd 126 and follow the sign to the parking. This artwork was produced under Boulder County’s Artist-in-Residence Program at Caribou Ranch Open Space. 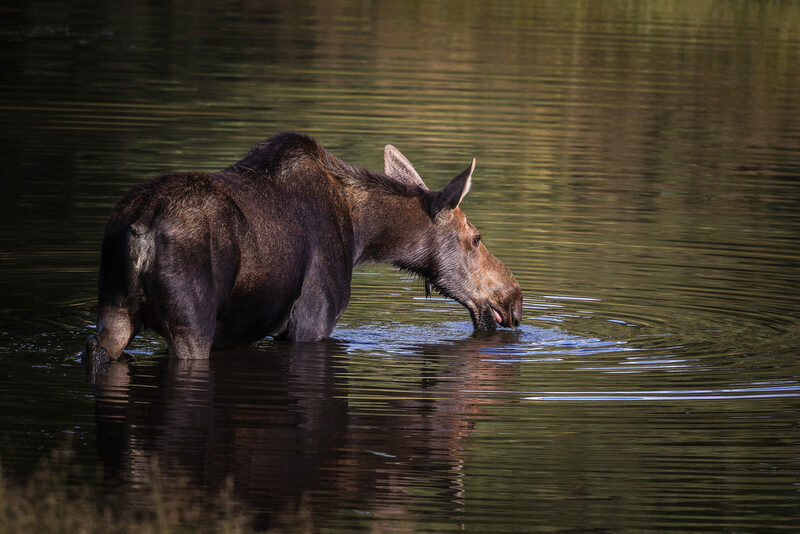 A moose cow feeding in a pond along DeLonde Creek in the late afternoon light at Caribou Ranch, a Boulder County Open Space Park.